Many young people spend years dreaming of the day they will get their driver’s license – a first sign of adulthood and a ticket towards independence. Parents, on the other hand, can experience conflicted emotions – sadness at their child growing up, appreciation that the child may be able to take on some chores or at least handle his/her own transportation needs, and fear. Sadly, the fear is well-placed. Teen drivers are involved in a disproportionate number of accidents, both as victims unable to respond quickly to a threat and as the parties responsible for the accidents, a role often tied to lingering immaturity and a failure to appreciate risks. Our San Francisco teen driver accident law firm knows that this limited maturity often causes the dangerous, often deadly, combination of teens and speeding. An accident involving teens, speeding, and cars turned the streets of Antioch into the setting for tragedy. The San Francisco Chronicle reports that teens in two separate cars were speeding near the intersection of Hillcrest Avenue and Sterling Hills Drive around 7 P.M. on Friday evening. One of the cars, a Jaguar driven by an unidentified 19 year old male, careened into a tree. Both driver and passenger were ejected from the car. The unnamed driver was seriously injured and transported to John Muir Medical Center in Walnut Creek. The crash claimed the life of the passenger, 17 year old Lydell Benjamin, a Deer Valley High School student. Police said that the driver of the second vehicle, an 18 year old man from Antioch, contacted them on Sunday and is cooperating. It does not appear that the two cars crashed into each other, but both were speeding in the area at the time of the Jaguar’s collision. Investigators do not believe alcohol was a factor in the incident. A report by the Governors Highway Safety Association (“GHSA”) titled “Speeding-Related Fatal Crashes Among Teen Drivers and Opportunities for Reducing the Risks” notes that studies of teens and crashes tend to focus on alcohol/drug use or distracted driving, despite the fact that speeding is widely acknowledged to be a major factor in accident incidence and in injuries stemming from teen crashes. In general, the number of fatal crashes per mile driven is nearly three times higher for those aged 16-19 years than drivers 20 and over. The GHSA cites studies finding that teen drivers pose a greater risk of death to passengers, other vehicle occupants, and bystanders such as cyclists and pedestrians than other driver age groups. Furthermore, data from 2000-2011 show speeding is a primary factor in fatal crashes involving teen drivers and was cited in about a third (~33%) of such incidents. In contrast, speeding was cited in only 19% of fatal crashes with drivers ages 26 to 49. 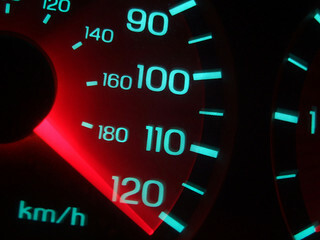 Teen speeding is particularly common among males, during nighttime hours, and when teen passengers are present. Looking only at crashes involving 16 year old drivers who had three or more passengers, researchers found a full half of the incidents involved speeding. In a future post, we will continue to look at the issue of teens and speeding including possible reasons for the elevated risk level and possible ways to reduce the danger. We will, however, make note of the fact that our society glamorizes speed but rarely focuses on the risks it carries. Teens are heavy consumers of popular media and particularly vulnerable to internalizing its messages. If you have been injured or lost a relative in a teen speeding crash in San Francisco or elsewhere in Northern California, our firm can help you recover monetary compensation. Call to arrange a meeting with Attorney Brod, an experienced Northern California injury lawyer.